At Acxess Spring we make sure to provide you with the best quality of metal coil springs so there are certain quality control procedures and certificates available to make this happen. Our quality control consists of measuring your springs to make sure they are within the dimension tolerances which apply to your spring design. The process starts by doing a “first article inspection”, then a “final article inspection”, and then a “Certificate of Conformance (C of C)” is filled out according to the results of the final inspection. For first article inspections, a few samples are manufactured and heat treated to be taken to our quality control area to make sure that the physical dimensions and working loads are correct before starting the full production. 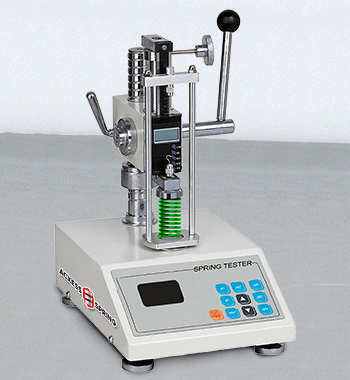 Once the quality technician measures the spring dimensions with a caliper or laser micrometer and tests the working loads with a certified load tester; (1) if there are any mistakes, they point them out and have them corrected followed by a second article inspection and so on, (2) if the springs meet both the dimension and working load requirements, they are approved by the quality control technician to continue manufacturing the rest of the order. Final article inspections are done at the end of your springs’ production. The same quality control process that was done for the First Article Inspection is followed here. 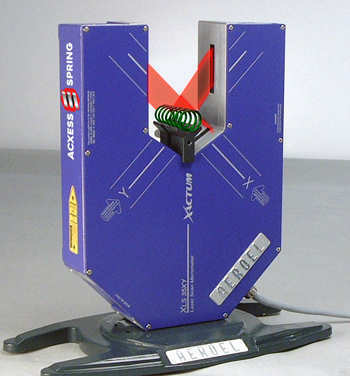 The springs are measured and load-tested to make sure they will meet your requirements. If your spring is going over a valve and you’d like to have us make sure it works before shipping it to you, you must mail us that valve so that we may perform this final quality control test. This applies for all devices and applications, whether you want to make sure it fits or simply make sure it works overall. These certificates are provided to customers and they include both order and manufacturing information. Provided first are the customer’s name and the order information such as purchase order number, quantity ordered, and part number (which includes your spring design’s dimensions). Next are the part specifications which include the physical measurements and loads tested from the Final Article Inspection, information on the material used to manufacture the spring (wire size, material size, heat treatment, and Heat Lot Number from our wire providers).